Daniel Faricy, Jonathan Sutherland, Bethany Mock, Rebekah Mock, Elise Mock, and Carolyn Sutherland. 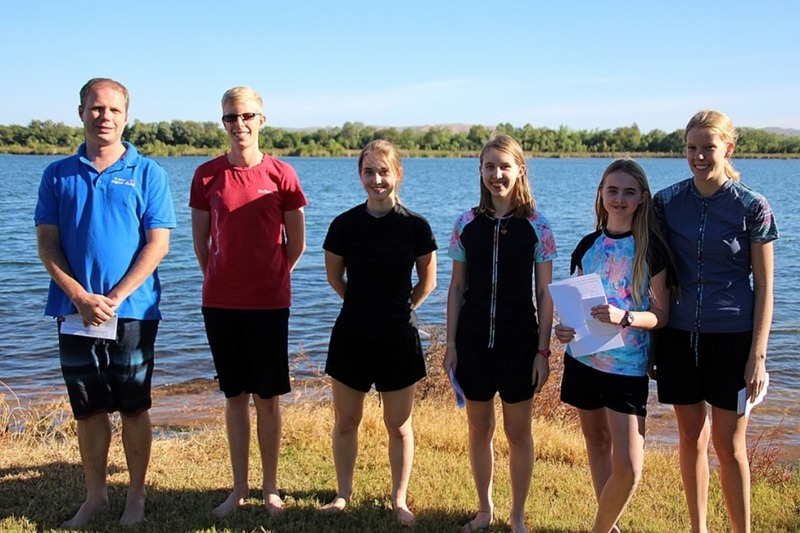 Five teenagers from Kununurra made a stand for Jesus when they were baptised at Swim Beach, part of the Ord River, on Sunday 13 May. Family and friends supported Carolyn, Jonathan, Elise, Rebekah and Bethany as they gave their testimonies and were baptised by BCA Field Staff Daniel Faricy. The five teens serve at St James’ Kununurra in kids’ church as well as in the music and production teams. Carolyn is a leader at KNX Kids – a weekly program for kids from pre-primary to Year 5 who are taught about Jesus in a fun and engaging way. Fifteen-year-old Carolyn, was blessed to be brought up in a Christian family. In the lead up to their baptisms, the five teenagers did weekly studies with Daniel and wrote their testimonies.